No need for a passport to get flavors that take you south of the border. This prosciutto appetizer with mango and avocado is a fun way to celebrate summer. All three ingredients combat the summer heat with a refreshing, smooth feel; but the mango provides a pleasant, slightly tart contrast to the Prosciutto di Parma and avocado. Serve these skewers on their own, as part of a larger platter with cheese or with chips and salsa. Enjoy this mango, avocado and prosciutto appetizer on a hot summer night for a quick way to cool down. Bonus points for pairing with a light beer (lime not included). Cut each slice of Prosciutto di Parma in half, crosswise. 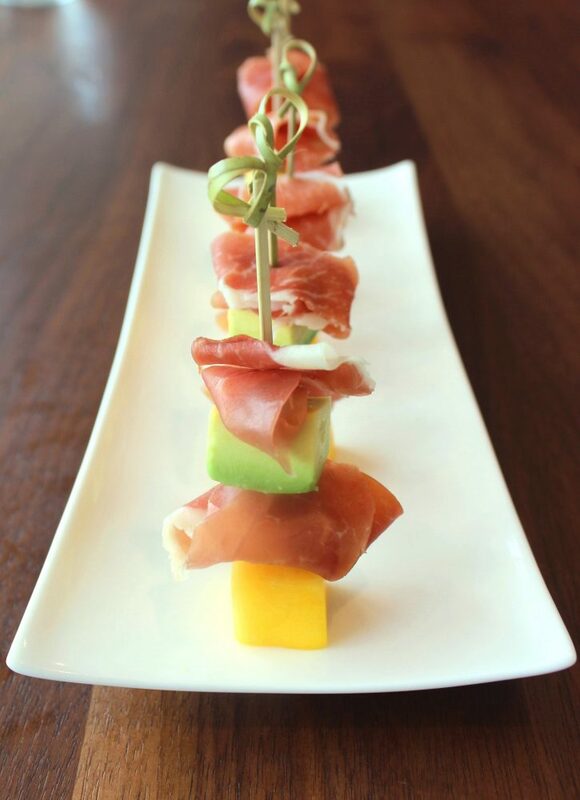 On a small skewer or toothpick, stack one avocado cube, a prosciutto slice, a mango cube and the other slice of prosciutto. Repeat with remaining ingredients.